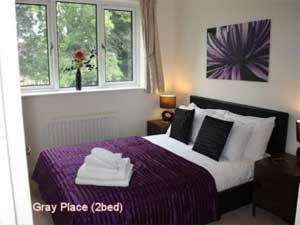 The Berkshire Rooms is located at The Ridges in Bracknell. Check room availability using the search box on your right. Why pay hotel rates when you can have first class accommodation and comfort at a much lower cost?The idea of short term, fully serviced rooms and apartments was developed to provide business and leisure travellers with an alternative to hotels and apartment rentals. We are a new company set up to meet this growing need. We are committed to excellence and understand, from our own firsthand experience, the needs of those working away from home, whether for a few days, weeks or longer. We are able to offer freedom and flexibility, combined with superior service and a guarantee of quality. All our accommodation is beautifully furnished and fully equipped with everything to make your stay comfortable and enjoyable. Our dedicated in-house team will ensure that your accommodation is serviced and maintained to the highest standards. You will find fresh flowers, clean linen and complementary toiletries awaiting you.